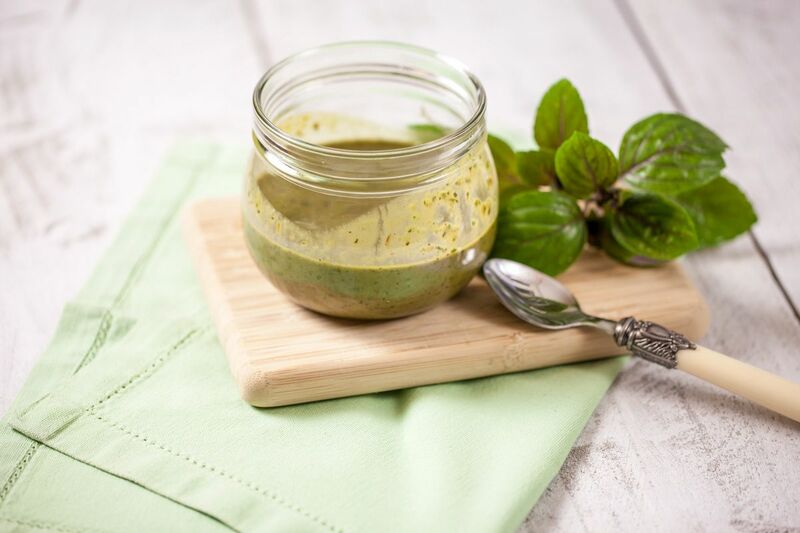 Beautiful and powerful flavors from this African blue basil vinaigrette. Amazing when combined with salads, pastas and chicken. A blender, we used a Kitchenaid artisan blender. If you want you can swap the African basil leaves for ‘regular’ basil leaves. 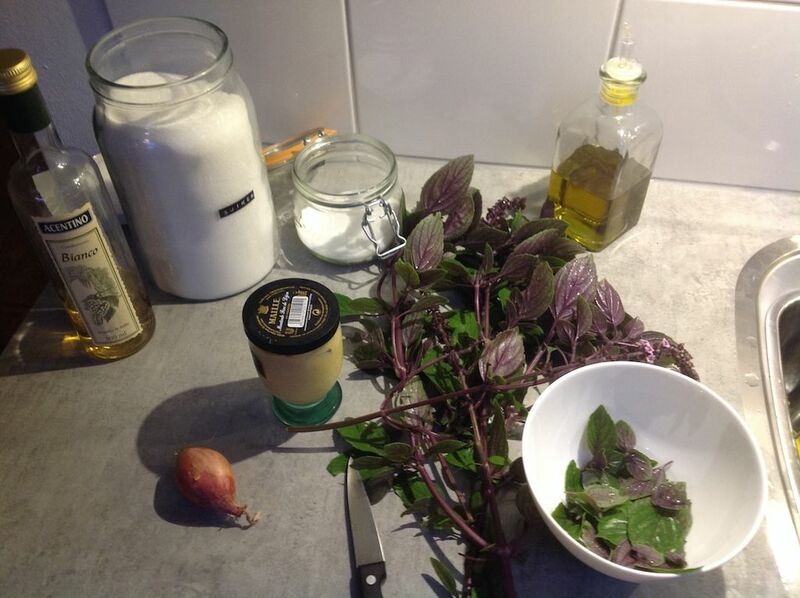 The recipe is exactly the same apart from the African blue basil, which has a more powerful flavor to it. Dice the shalot, if you don’t know how to properly dice take a look at this article: how to properly dice an onion. Same technique can be applied for shalots. Remove leaves from stem, rinse and clean with cold water. Fetch your blender and put in the salt, sugar, mustard and all of the African blue basil. Use the pulse function a few times to mix the ingredients together. Use a silicone spatula to scrape any basil vinaigrette from the sides. Pour in the olive oil and vingar and repeat previous step until you’ve used up all of the olive oil. The blender can cause the basil vinaigrette to sputter a little out of the open cap when you haven’t sealed it properly. You can use your hand to prevent any splashing. When the olive oil has been incorporated into the basil vinaigrette turn off the blender and scrape all sides one last time. Cover and use the puree the mixture for about one to two minutes. Put into a covered pot or jar that can be sealed. You can store the African blue basil vinaigrette for up to one week tops.